New Music Friday is ‘neer at hand. No, they aren’t just the “Ho Hey” trio anymore, even if that remains their signature song. The lead single from the new album is “Ophelia”, a current top ten hit at Alternative radio, which gives them their third single at the format to reach those heights. Without a crossover single, this probably won’t do as well as their debut effort in 2012, but we’ll see what happens as the era goes on. This California band has been putting out music for two decades now, and they have their first hit in three years at Alternative radio with “Prayers/Triangles”. They scored four top ten albums between 2000 and 2010, but they’ve had much more radio and sales support in the past. Can this bring them back to the region, or fall short again? 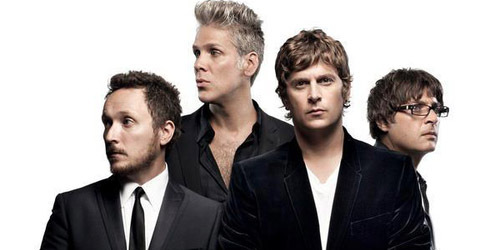 This French group had a big Alternative hit several years ago with “Midnight City”. Their latest release, “Do It, Try It”, isn’t quite charting at the moment, but there’s still time. Their latest album will perhaps score a top 20 entry, a career-high peak if they achieve it. We’ll see you next week for new releases from Bear Hands, Sturgill Simpson, Wild Belle and more. As 2012 draws to a close, some singers and acts have been more successful than their counterparts. Of course, established acts like Adele, Flo Rida and Maroon 5, who have consistently done well, once again showed that they have some major chart muscle. Others, like Jessie J, LMFAO and Owl City, artists who were generally considered one-hit wonders in the U.S. despite minor entries and/or international success, scored a second big hit, thus, opening up the possibility for more success in the future. Then, there is a category of artists who will be doomed to one big hit only… the dreaded title of one-hit wonder. Now, not everybody who gets predicted to be a one-hit wonder actually ends up being one. I, myself, thought Carly Rae Jepsen would score her only hit with the catchy “Call Me Maybe”, but she made it to the top ten once again with, now, another two-hit wonder, Owl City, on “Good Time”. I was also wrong about a certain girl’s whose first major single was “Pon De Replay”. Look at Rihanna now. Look at that song now; you barely hear it. So, bloggers, fans, artists, take these predictions with a grain of salt, but prepare yourselves just in case it does happen. Also, remember, I’m strictly talking about one-hit wonders in the United States and mainly on mainstream and Top 40 stations; some may apply worldwide, but I’ll elaborate on everything as I go through each example. Several acts on the charts at this moment are looking for their second big single. On CHR radio, Ellie Goulding is up to #25 with “Anything Could Happen”, her second top-40 hit following “Lights”. Even though her current single has brick walled right now, she’s most likely capable of securing another hit, especially with her collaboration with Calvin Harris, “I Need Your Love”. Cher Lloyd is up to #28 with “Oath” featuring Becky G, her followup to a top ten record, “Want U Back”. It’s not doing amazingly at the moment, but Lloyd is young and has a lot of potential, so she’ll probably stay around for a while. Both Goulding and Lloyd have been much bigger in the United Kingdom. 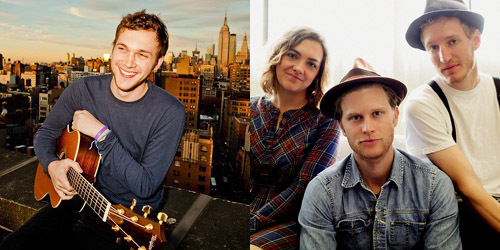 Then, we have acts who are in with their first big hit: Phillip Phillips with “Home” at #10, Ed Sheeran with “The A-Team” at #15, etc. It’s too early to call on some of the acts further down than that. These two should be safe to have at least one more hit, however. 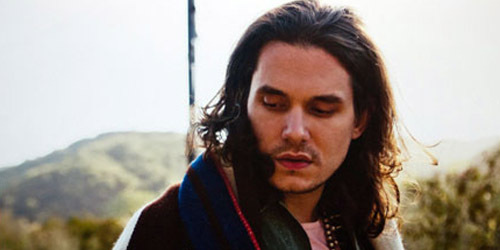 Phillips will be releasing “Gone, Gone, Gone” as his next single in early 2013, and Sheeran is already climbing at AAA radio with “Lego House”, which was a big U.K. release for him. Sheeran is also opening for Taylor Swift on her tour, which will keep him familiar with American audiences for some time. I think can both do particularly well, especially in the upcoming Spring season. Now, the list. Well, five examples of could-be’s. Once upon a time, a long time ago… okay, fine, it was ten years ago, a little trio named Dirty Vegas scored a top ten record at CHR radio with a song called “Days Go By” that got widespread exposure through an advertisement for the Mitsubishi Eclipse. Though it was lyrically a breakup song, it had a danceable beat and it ascended the charts up to a high of #7 before falling off. Consider Alex Clare this decade’s version of that particular example. His song, “Too Close”, reached a high of #4 on the same airplay chart after being prominently featured in an advertisement for Internet Explorer. Though it’s lyrically a breakup song, it has a danceable beat and it ascended the charts and is just dropping in spins now. Déjà vu? Point is, his followup single in the States, “Up All Night”, is very unlikely to crossover to CHR radio, so he will likely have to settle with his one hit. This is happening globally too as none of his other singles have caught on. In other words, the coast is Clare. As of April 2013, Clare has yet to score another mainstream hit here in the States. This one shouldn’t be any surprise considering that Gotye has basically accepted the fact that he’s going to be a one-hit wonder. In an article with NME, he said, “If I was to become a one-hit wonder, I’d be in some good company.” Well, “Somebody That I Used To Know” was a big #1 hit in the United States, and even though the followup, “Eyes Wide Open”, was a mid-charter at Alternative radio, it never became a national smash, and he hasn’t charted since. Kimbra is going to end up in the same category here in the States, but she’s managed to score a few chart singles in her native New Zealand, including one top ten earlier this year. As of April 2013, neither singer has charted here. Originally a hit in Australia in 2011, “We Run The Night” was Brown’s debut single, remixed for American audiences by successful producer RedOne and featuring rapper Pitbull. The result was a #1 Dance hit and a top twenty hit on CHR radio that was quite the slow burner. Brown has had better success as a DJ in Australian nightclubs. Her album, When The Lights Go Out, only hit a high of #16 on Australia’s Album Chart and second single, “Get It”, barely scratched the top 40 there. I guess very few people actually got it. Well, even if she gives up as a singer, she still has her other profession to fall back on. As of April 2013, Brown managed to have another moderate single in her native Australia, the top 20 “Big Banana”. She has yet to issue any other releases here. Have you turned on your radio lately to find a folky song playing? You think, “Hmmm, that’s not Mumford & Sons. It’s not Phillip Phillips either. 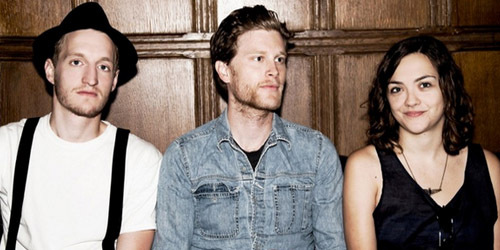 Who could it be?” Congratulations, you’ve just found yourself another one-hit wonder, The Lumineers. Don’t blame this trio for stealing the particular sound that’s become the rage lately; “Ho Hey” has been around for a while. It, too, has been the subject of an advertisement campaign, but an online one for Bing. Also, correct me if I’m wrong, but I believe this song is the shortest song to hit the CHR chart this decade. It clocks in at 2:35. It’s the shortest one to hit the top 40 since 2007, when the Jonas Brothers clocked in at 2:33 with the debut charting single, “S.O.S.”, a #23 hit. Followup single “Stubborn Love” is gaining minor airplay at Alternative radio, but it won’t do anything at Pop radio stations. “Ho Hey” is simpler and much easier to digest. As of April 2013, “Stubborn Love” has received very little crossover play, and it peaked at a lowly #70 on the Hot 100. Who knows if the third single, “Submarines”, can do any better? As of April 2013, PSY managed to have another hit! “Gentleman” made the top 5 on the Hot 100, but it was largely due to YouTube plays and not from airplay or sales. Oh well. He’ll still always be remembered for “Gangnam Style”. Am I totally wrong? Right on? Missed a big one? Let me know in the comments or on Twitter: @AdamFSoybel.